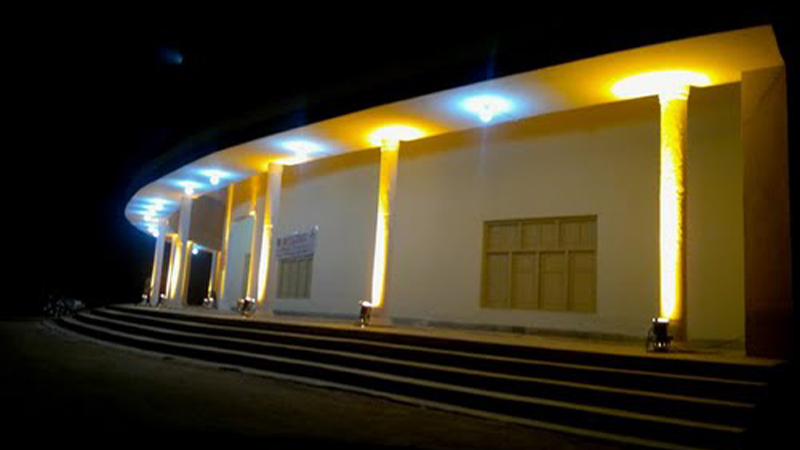 The Writers Club (WC) has remarkably completed 100 programmes of monthly Mushaira (Symposium of Urdu Poetry) on Tuesday by organising the 100th programme in the Bhitai Adabi Hall of the Larkana Arts Council. Reportedly, the famous story writer Manzoor Kohiar was present as the guest of honour while while a large number of people from all walks of life were also present on the occasion when shields and certificates were awarded to 40 poets who persistently participated in the programmes. In his address to the participants, he eulogised creative works of poets and their magnificent use of alliteration in the poems which made their effort more interesting. He asserted that literature creates unity and harmony by eradicating extremism from the society through knowledge. He stated that the foundation of the WC was laid on the ‘Dera’ of a notable Sindhi writer Ayaz Qadri in 1996. Kohiar revealed that Suhail Makani was the WC’s first president while he was the club’s general secretary. He further said that 100 meetings of poets enlightened participants with knowledge and awareness, and beyond criticism offered comprehensive analysis of Sindhi literature. Meanwhile, WC secretary Inayat Memon stated that the monthly Mushaira was initiated in 2006 at the Nizamani Labour Hall. He revealed that the club faced various difficulties and hurdles while organising monthly programmes but remained firm to promote ‘the healthy activity’ in the society. Later, WC president Abdul Wahab Sahto, vice president Rasul Bux Muntazir Soomro, Riaz Soomro, Jawad Jafri and others spoke on the occasion. The WC members also paid glowing tributes and awards to departed souls of many poets and writers including Sarkash Sindhi, Saeed Memon, Qazi Maqsood Gul, Abdul Majeed, Amin Ansari, Muhammad Bux Saliq Sindhi, Wasif Wagnai, Karam Hussain Karam Wagan, Akbar Siddique Pirzado, Fida Hussain Fida Soomro, Dr Bashir Ahmed Shad and others.